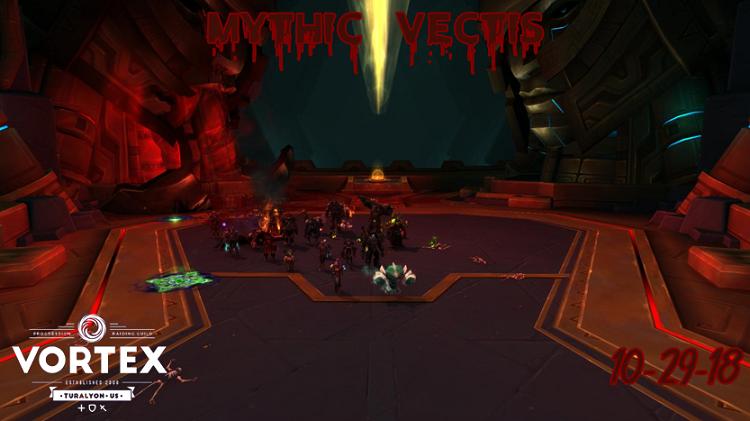 After putting the band back together and re-figuring out our paces, Vortex polished off Heroic Uldir! 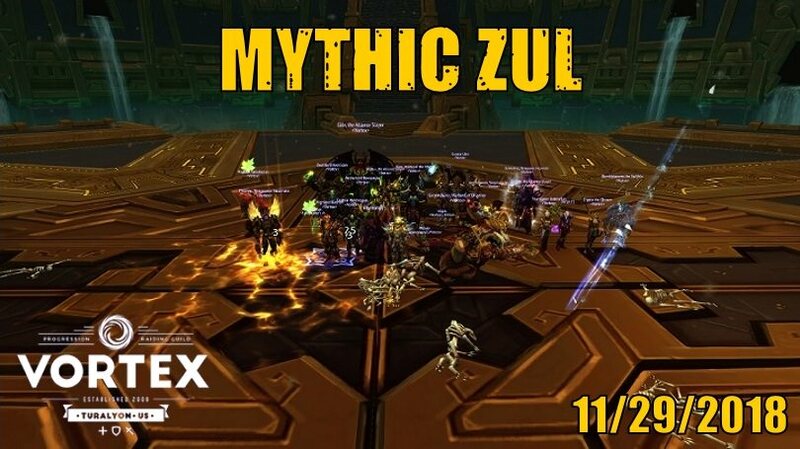 Like many other guilds, we actually polished off Mythic Taloc before Heroic G'huun, as Taloc is so much like heroic as to make it fairly trivial (A few more beams, a spread out and a soak mechanic, and tank swaps actually being required). The fight is made significantly easier with the availability of Spellwarding/Bubble to ignore the soak mechanic, but even without it we recleared in short order. 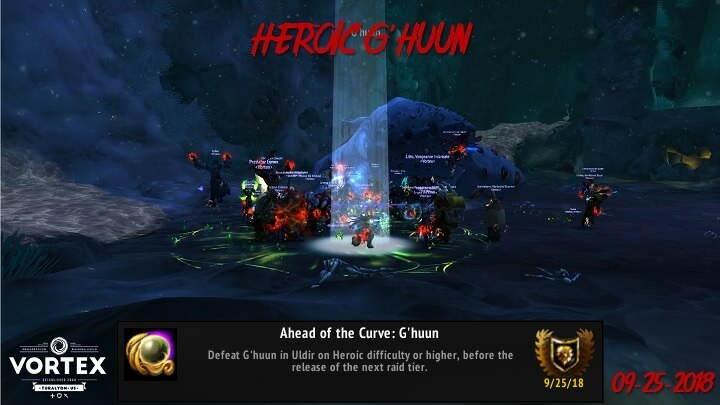 The Italian dinner that is Heroic G'huun was much more worthy of mention as we worked hard to avoid sharing our meatballs (Explosive Corruption) with the rest of the raid, and learned to effectively dodge pepperonis (Malignant Growths). Good work, team! 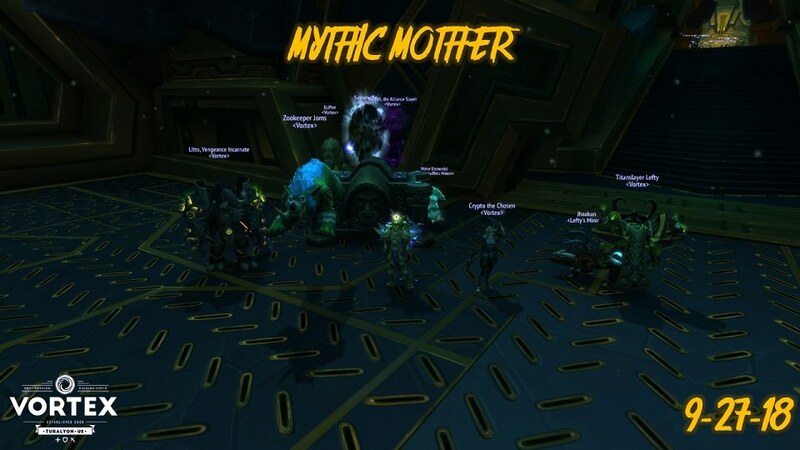 More work on Mythic MOTHER awaits! 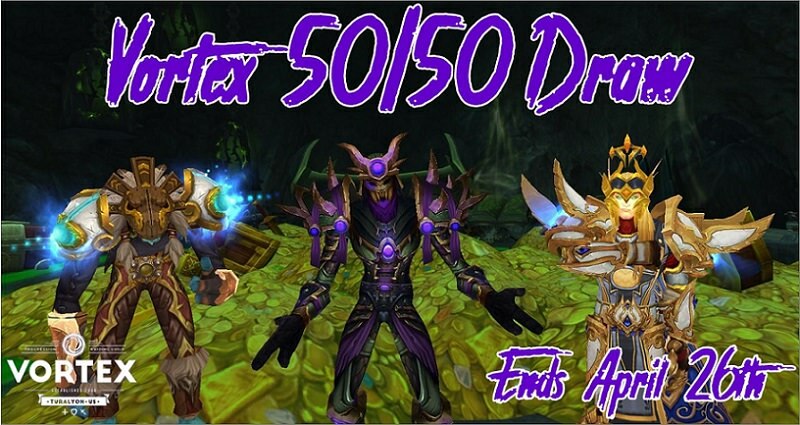 Vortex News & Information / Uldir 50/50 Draw! 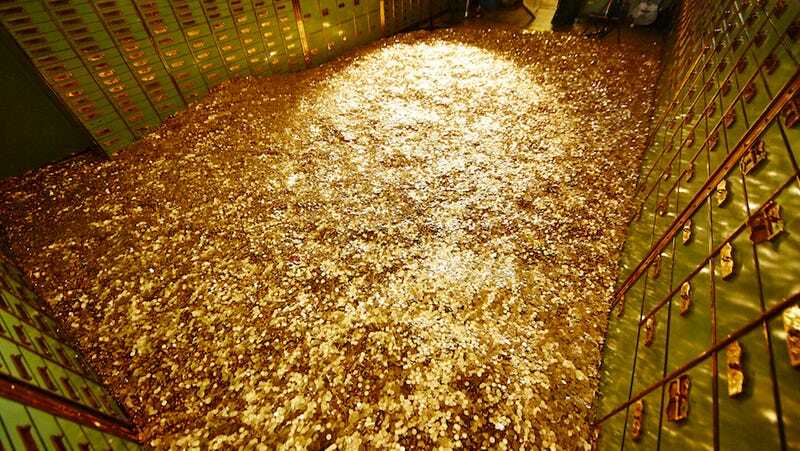 Current Prize: 372,750g! With raiding in full swing and our progress Mythic Uldir on the horizon, it is once again time to replenish the guild bank! To keeping makin' it rain, we will be holding our next installment of the Vortex 50/50 draw on Tuesday, September 25th! All Tickets must be purchased before 7:30pm Thursday, September 25th, 2018. The draw will take place at 8:00pm on September 25th at the start of raid. All are encouraged to get in mumble as the draw happens. If you are unable to attend the draw and you win, your winnings will be mailed to or traded to you. Vortex News & Information / Vortex Breaks into Uldir! 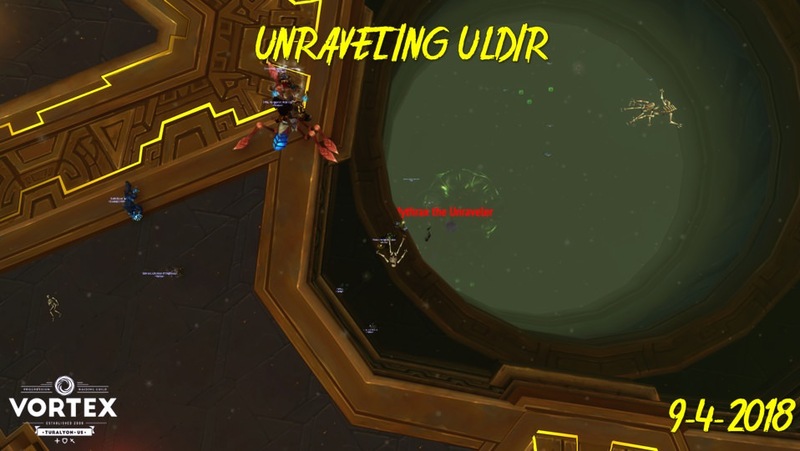 After several weeks recuperating from the end of the Burning Legion and the grind of World Quests and mythic dungeons, Vortex has once again resumed raiding by entering the corrupted Titan facility of Uldir. 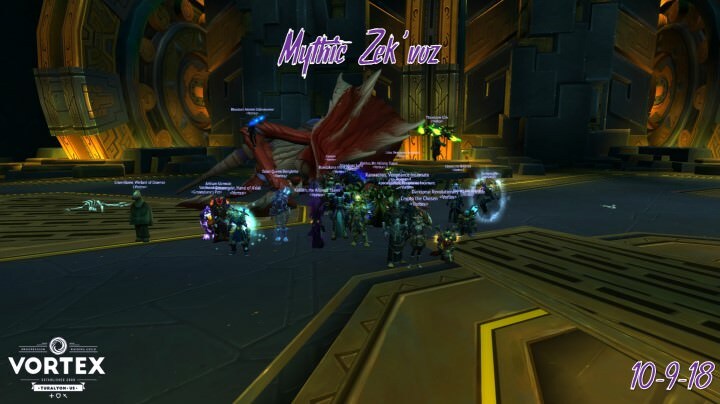 Despite Blizzard best attempts to once again destroy their login and authentication servers, the guild downed the first 7 of 8 bosses in one evening. Several burgeoning memes were born (Unworthy Vessel, Log out and update your addons, etc. ), perhaps the meme-iest moment occurred after defeating Zul and clicking the console. 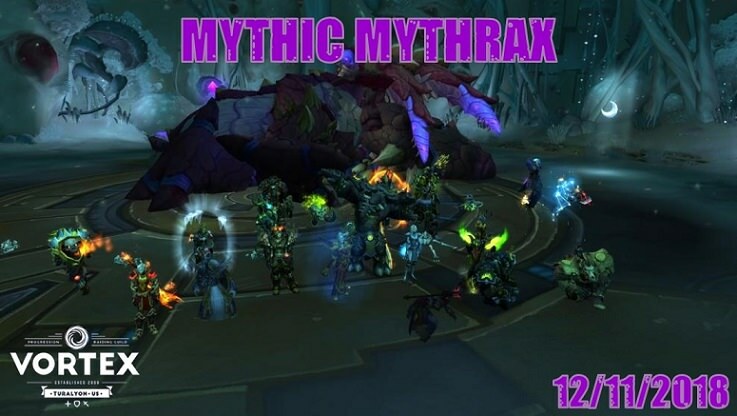 A sizeable portion of our raid discovered Mythrax the hard way. Thank you for considering Vortex. We appreciate everyone who's inquired about us or taken the time to fill out and submit an application. When we do have openings, we will keep them marked as "Open" until the spot is formally filled. If you're thinking about applying, please take the time to read our Application Form and Instructions (in this forum) COMPLETELY. It answers a lot of questions that many applicants have. Also, please note that we require all raiding members to have and use authenticators on their WoW accounts. Please keep in mind that exceptional applicants of any class are always welcome to apply. If you know some of our members and/or think you'd be a great fit for us in terms of personality and skill, we'd always like to hear from you! We archive every application we get and if raiding spots open up, those archived applications that we were unable to accept will likely be the first spot we look for great folks to join us. Thanks for your interest in Vortex. You will find our application form below. Please take your time and fill it out completely as it represents your first impression to many (if not all) of us. Only Vortex members have forum access. You do not need to be a registered member of the forums to post your application. To make sure that you don't lose valuable work in case your forum session times out, we recommend that you compose your application in a text editor (Notepad, etc.) and then post the completed application here. We have a five-step application process. Check to see if we are recruiting your class. You can do that by visiting our Vortex Class Needs post. While we are always looking for exceptional applicants, that post will contain a regularly updated list of specific classes we are looking for. Complete and submit your application. Once posted, the form will create a thread in an internal members-only forum where the entire guild can read and comment on it. That initial feedback will determine whether you'll move on to Step 3 of our Application Process. Applicants with strong applications will be invited to talk with our guild members on our Discord server. This group will include at least one officer and several of our guild members with experience in your role and/or class, but it's quite common for a large portion of the guild to show up and listen in. 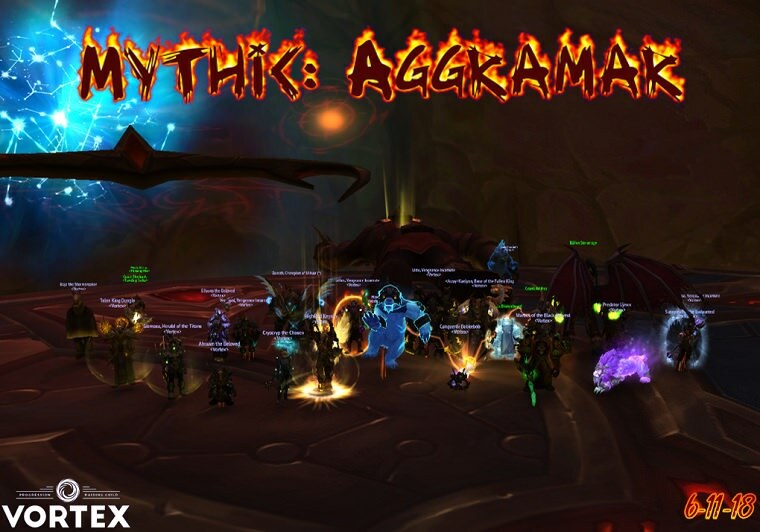 It is important for us as a community to have a group interview because it provides us as a guild to meet and talk with you as well as giving you an opportunity of meeting our group to ask us questions and see how we work. We will also traditionally invite applicants at this stage to spend a raid night (or portion of it) with us on Mumble to get a feel for our raiding atmosphere so they can decide if it's an environment that they're comfortable with. Feedback from this stage will determine you'll move on to Step 4 of our Application Process. Candidates with continued positive feedback at this stage will be asked to raid with Vortex for typically six nights (and occasionally more) during our regular raid schedule. These runs gives us a good feeling for how you interact with groups of people as well as your skill level. The Vortex members that group with you will add their comments to your application for other guild members to see. At this stage of the application process you should be prepared for any encounter that Vortex has completed up to that point as well as any progression content that we may be working on. The entire guild will be asked to vote on whether you should be admitted. This is a difficult step for some, but we feel strongly that our members should be able to chose who they play with. If accepted, you become a full member of the guild immediately. If you have put in the commitment necessary to complete our application process, we need to show you the same commitment in welcoming you to Vortex. Once submitted the form will automatically create a private thread for our guild to review. If you'd like a copy of your application after submitting it, please get in touch with a Vortex officer. You may add additional information at the end of the application as you deem it necessary; however you must complete every question to the best of your ability to be considered. Every question is designed to help us gauge if you will be a fit for us. Once we've received your application, you should be contacted by a Vortex officer within 3 days. 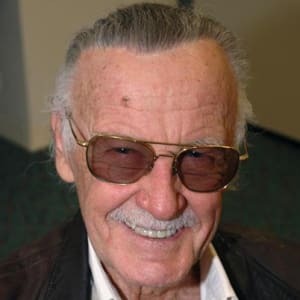 While you are waiting, please take whatever steps are necessary to prevent e-mails from the vortex-guild.com domain from being filtered by your anti-spam software in case we need to contact you via e-mail. If you have not heard from us in that time, please feel free to contact one of the Vortex officers directly (listed below). Thank you for taking the time to read this, and we thank you for your interest in Vortex. Vortex News & Information / Vortex 50/50 Draw! Prize: 560,000g!